CALGARY, Alta. – Canada’s World Juniors hopefuls will begin their quest for back-to-back gold medals when they head west for the National Junior Team Sport Chek Selection Camp, Dec. 11-14 in Victoria, B.C. 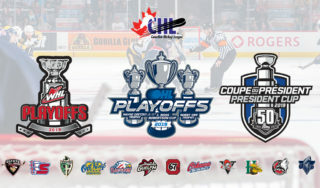 Camp will be held at the Q Centre, home of the Victoria Grizzlies of the B.C. 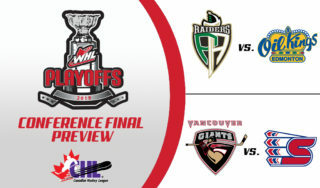 Hockey League (BCHL), and will feature a three-game series against a team of U SPORTS all-stars. Following the four-day camp, the Canadian squad will trim its roster to the final 22 players who will proudly wear the Maple Leaf at the 2019 IIHF World Junior Championship in Vancouver from Dec. 26-Jan. 5. 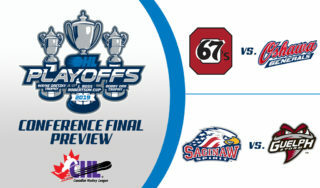 Ticket information for the games against U SPORTS will be announced in the coming weeks. 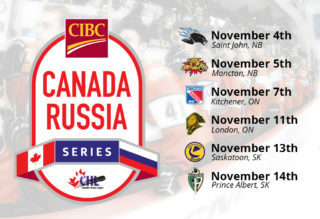 Canada’s final preparations also include games against Switzerland, Slovakia and Finland recently announced as part of the Lordco Road to the World Juniors pre-tournament schedule. Nine communities across the province will play host to 12 games, featuring all 10 competing teams, from Dec. 18-23 before the puck officially drops Boxing Day on the 2019 IIHF World Junior Championship. Following the camp and the selection of the 22-player roster, all eyes will turn to the 2019 World Juniors, where Canada looks for an 18th gold medal, and its first on home ice since celebrating gold in Toronto in 2015. Canada will open the tournament on Boxing Day against Denmark at 8 p.m. ET/5 p.m. PT. 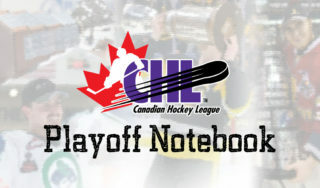 Its preliminary-round schedule also includes games against Switzerland, the Czech Republic and Russia. The bronze- and gold-medal games will take place Jan. 5 at Rogers Arena. 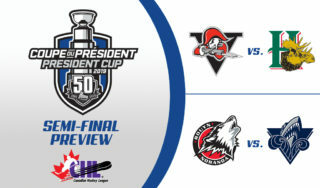 Extensive game coverage and analysis throughout the tournament is once again planned by TSN and RDS, the official broadcasters of Hockey Canada, including Canada’s three pre-tournament games; check local listings for details. For more information on Hockey Canada, Canada’s National Junior Team and the 2019 IIHF World Junior Championship, please visit HockeyCanada.ca, or follow along through social media on Facebook, Twitter, and #WorldJuniors.